Have you heard of Carpal Tunnel Syndrome? It’s a painful, tightening or numbness of the hand limiting functionality. Dr. Jason Somogyi is one of Texas Orthopedics’ fellowship-trained hand and wrist doctors who can help treat and/or correct this condition. 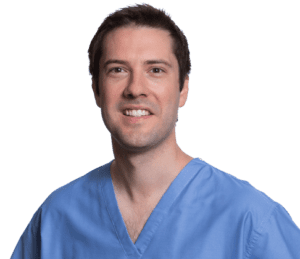 One of his specialties is minimally-invasive endoscopic Carpal Tunnel surgery that offers quicker recovery times and decreased pain and discomfort afterwards versus traditional treatments. This type of surgery is often performed on a simple, outpatient basis with local anesthetic and involves very tiny incisions to access and relieve pressure off the nerve causing the issues. Dr. Somogyi trained in Europe as a prestigious AO (Arbeitsgemeinschaft für Osteosynthesefragen) Hand Trauma fellow at the historic Eberhard Karls University of Tübingen, Germany. He approaches orthopedics as a problem solver, and has confidence that he can either help the issue go away, or treat it with conservative or operative methods. Dr. Somogyi is also steadfast in his commitment to caring for all his patients as if they were members of his own family. To learn more about what Dr. Somogyi has to say about hand disorders and his passion for orthopedics, watch this video interview. For an appointment with Dr. Somogyi, or any one of our orthopedic surgeons and hand and wrist doctors, please call us at (512) 439-1000 or contact us here. We promise, you’ll be in good hands.